Attn: Employee or Independent Contractors! 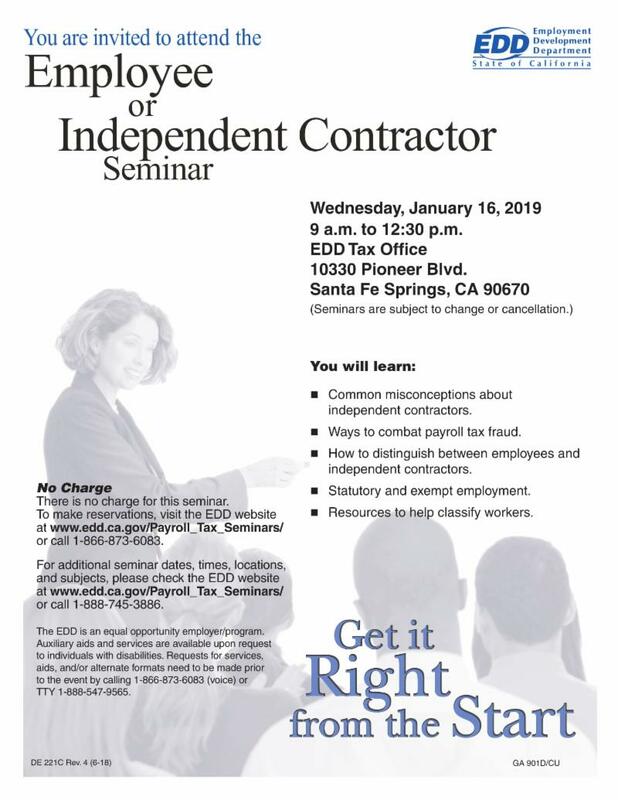 The Employment Development Department (EDD) is having a no-cost seminar for employees or independent contractor on January 16th. Make sure to register with EDD (www.edd.ca.gov/payroll_tax_seminars) or click the link below.